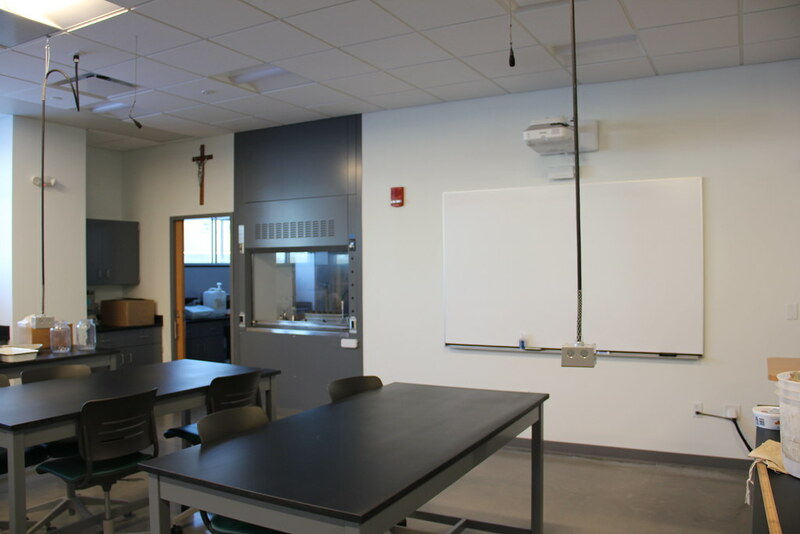 Tierney worked closely with both Saint Mary's and manufacturers to outfit the new science building at the Winona campus. 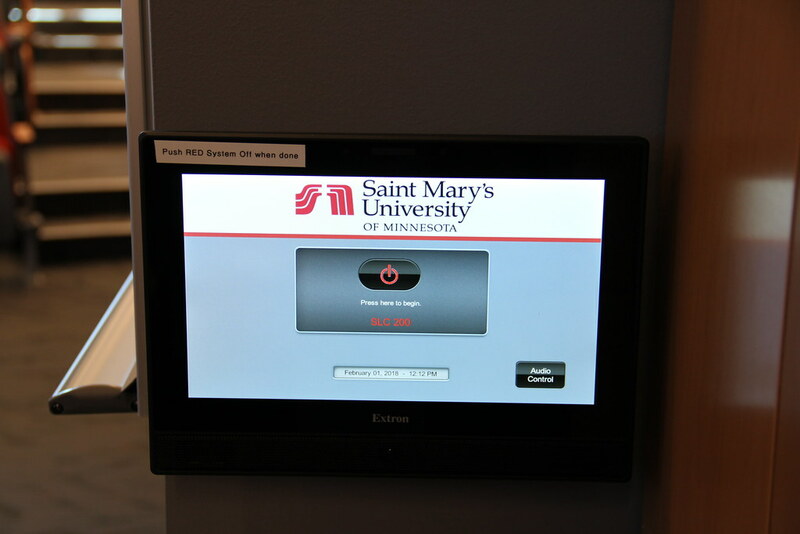 Students choose Saint Mary's for any number of reasons, among them: our welcoming community; our commitment to walking alongside each student, every step of the way; our intentional focus on practical, hands-on learning experiences; and our dedication to helping students form connections that will guide them in their post-graduate lives. 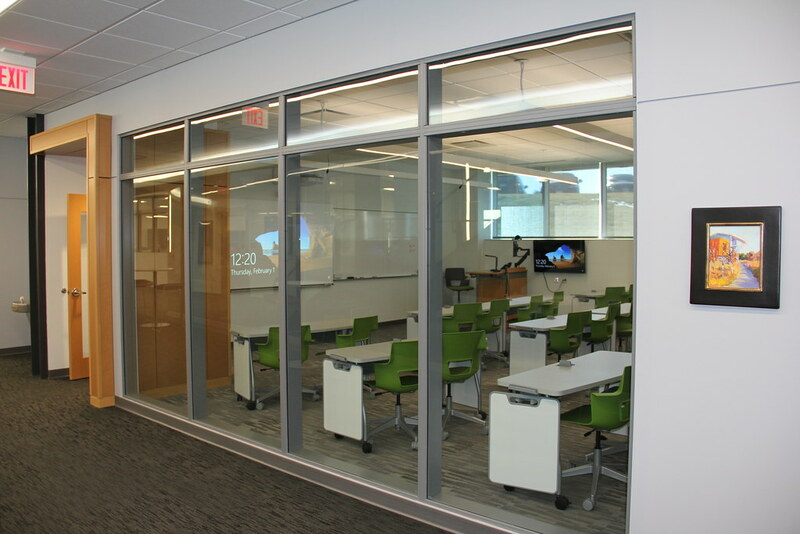 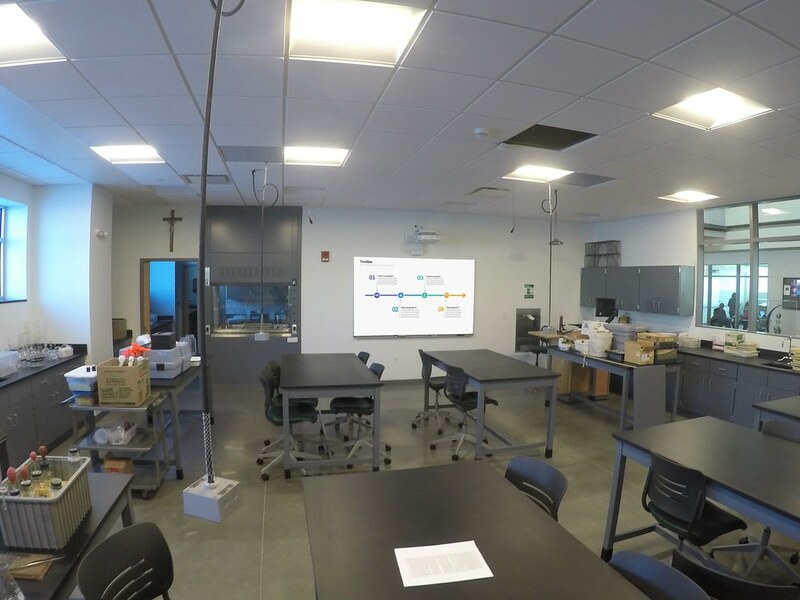 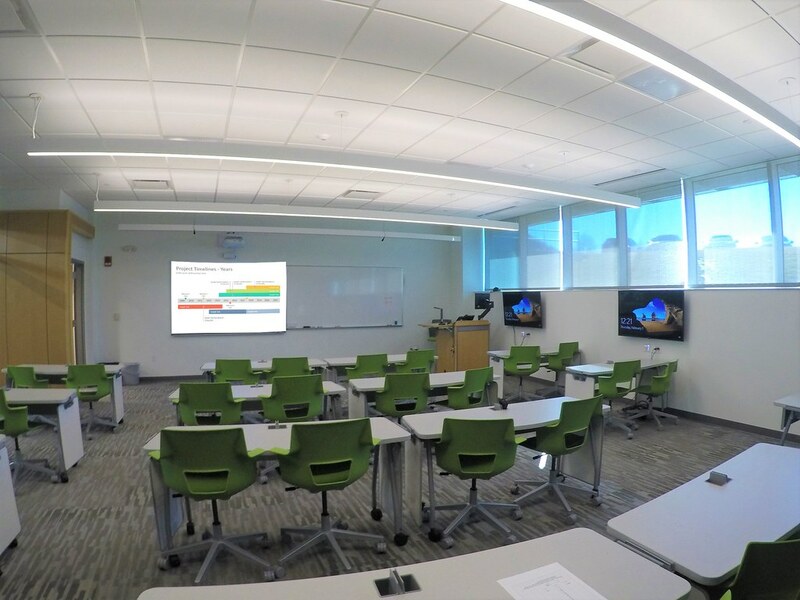 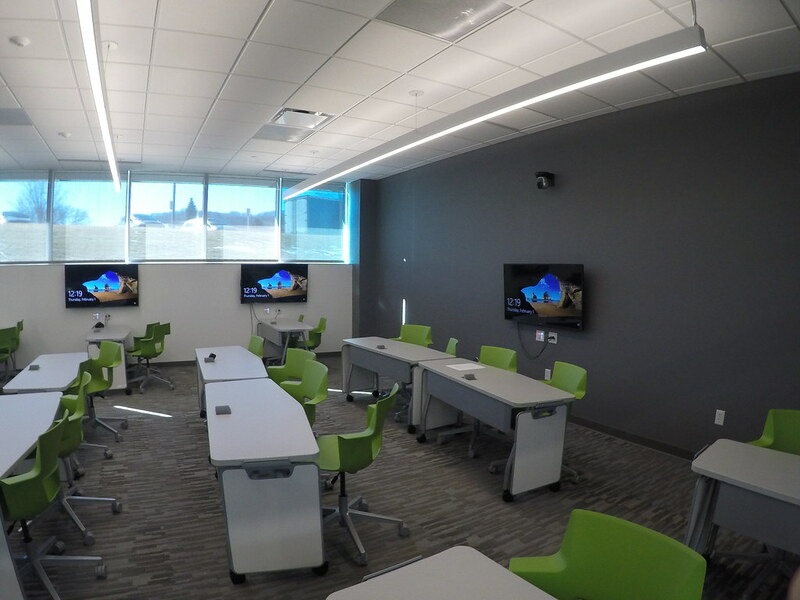 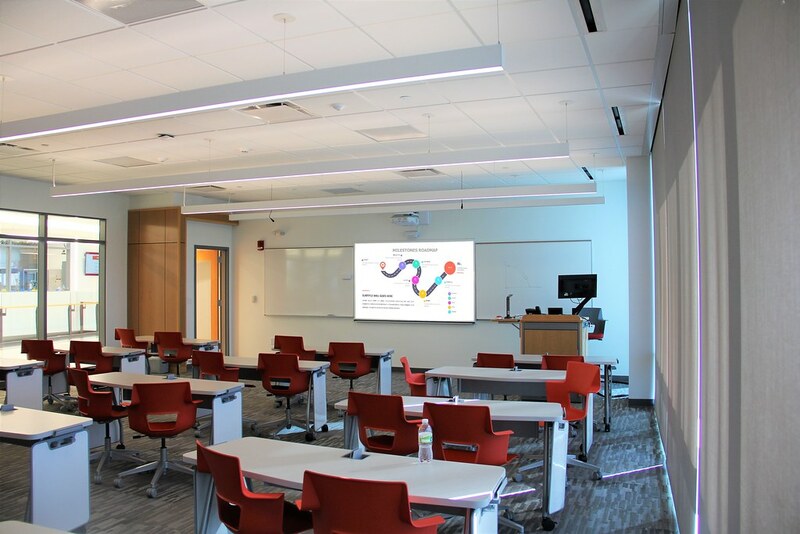 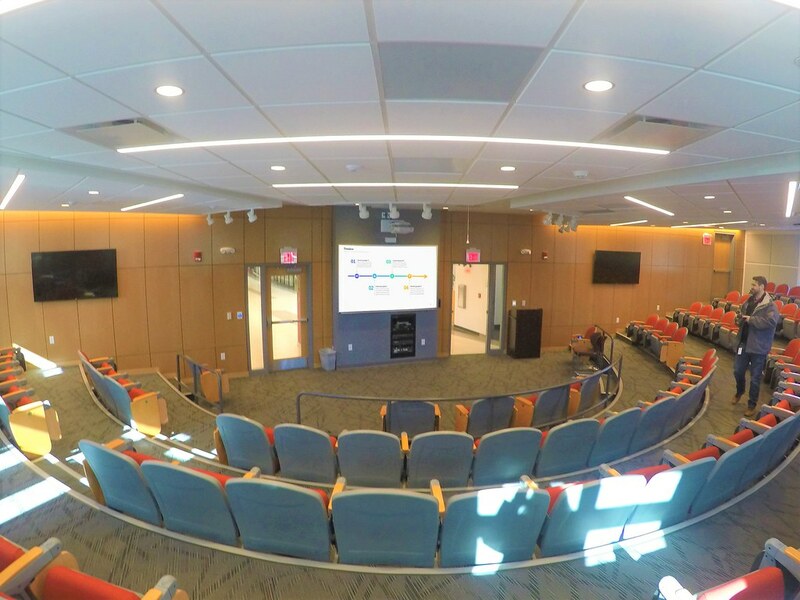 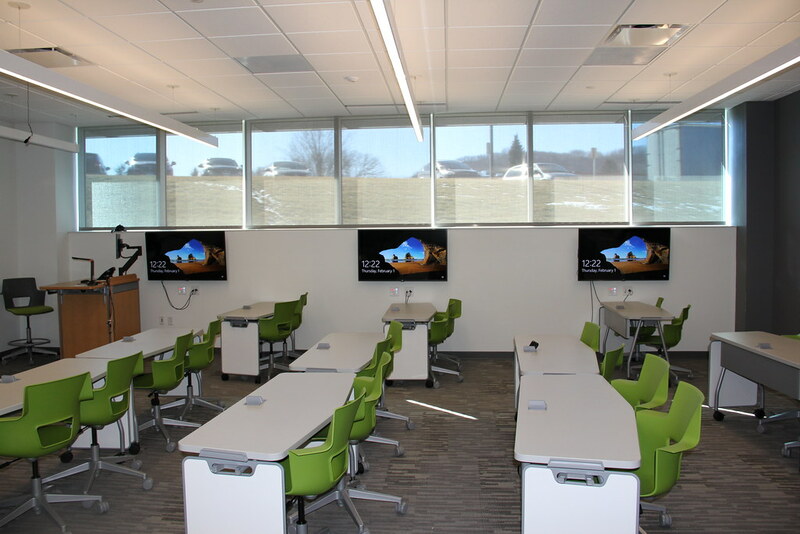 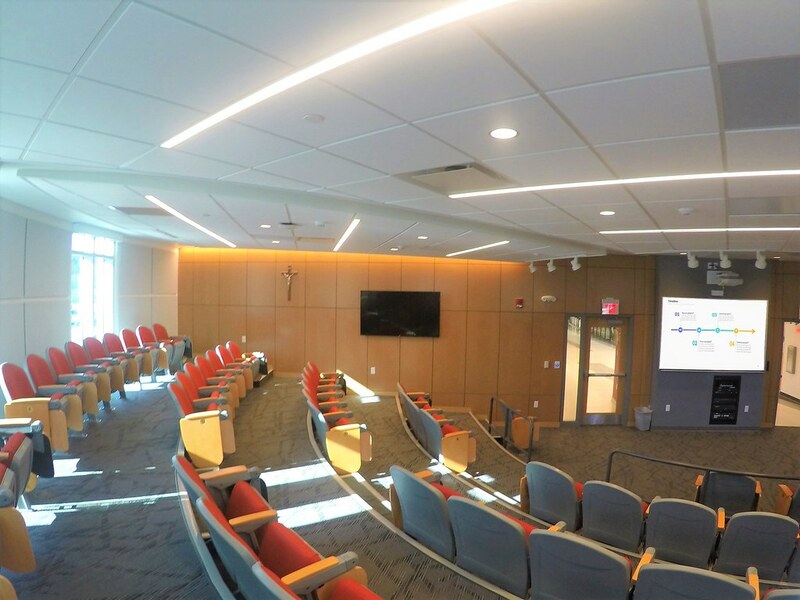 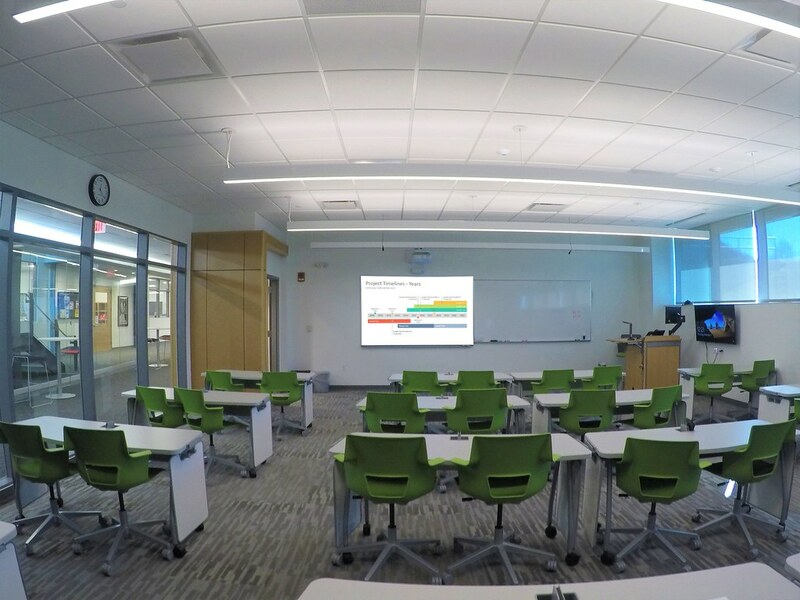 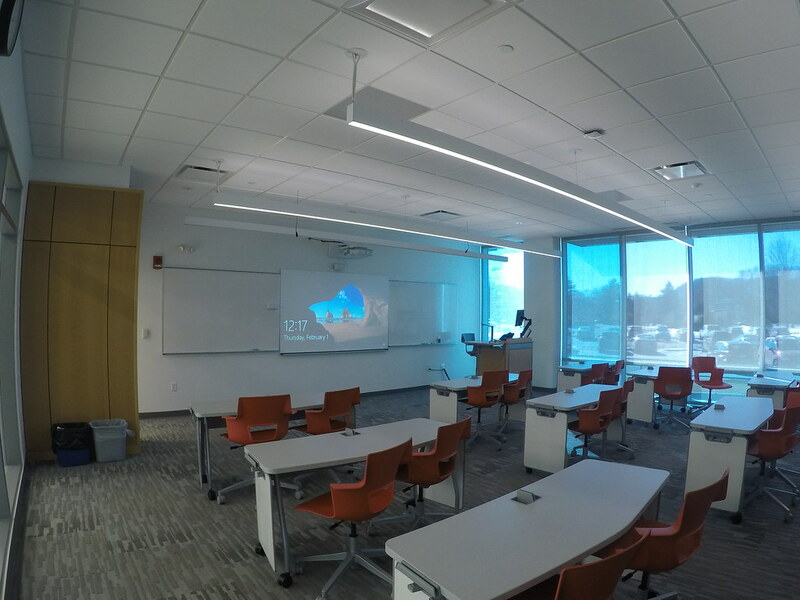 Tierney and Saint Mary's outfitted 9 classrooms, 13 lab rooms, a divisible room, 3 collaborative rooms and an auditorium with these stunning and impressive audio visual technologies. 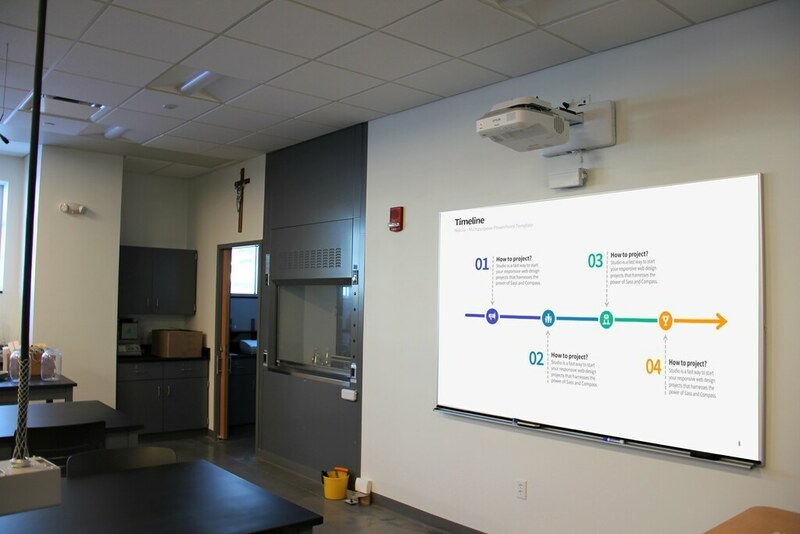 The main display in each of the classrooms, labs, divisible and collaborative rooms consist of the Epson BrightLink 695Wi 3D Ultra Short-throw Interactive Projector and the Da-Lite 100" Idea Screen. 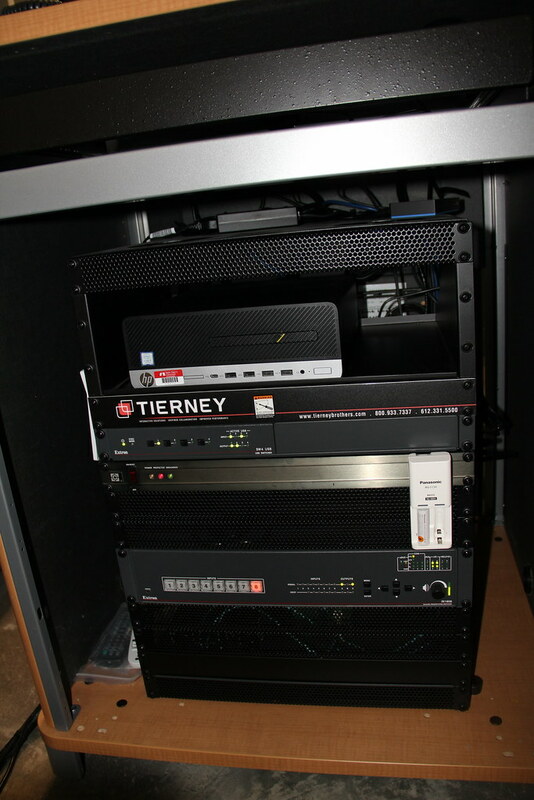 Tierney also incorporated cutting-edge technology provided by the HoverCam HCS8 HD document camera, Extron switcher, Epiphan AV.io 4K lecture capture device, Vaddio USB PTZ camera, PreSonus AudioBox and four drop tile lay-in speakers. 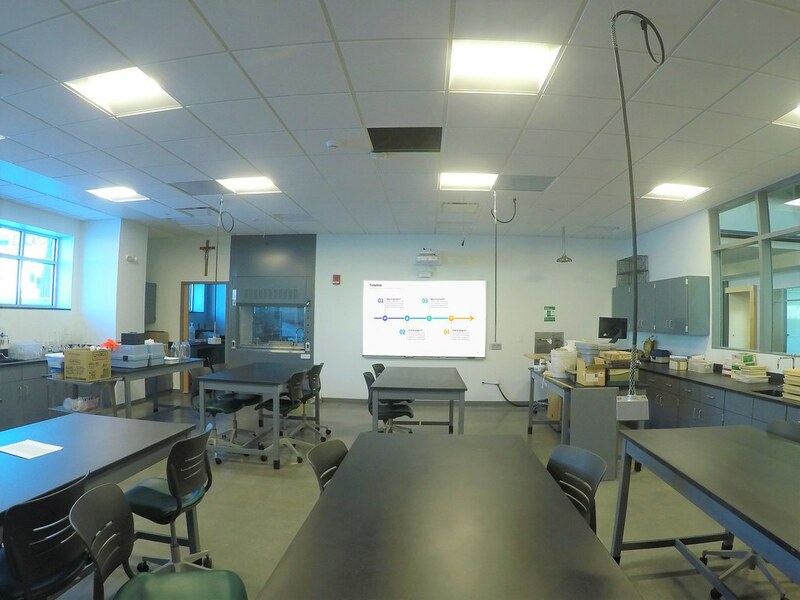 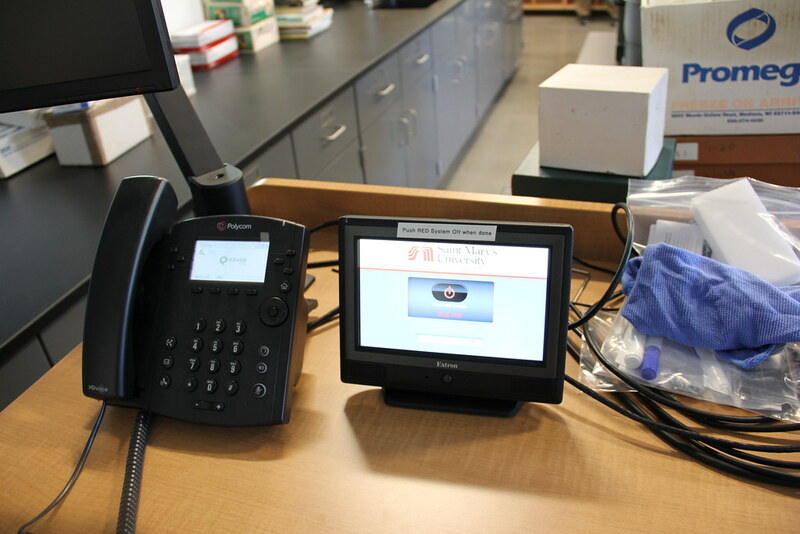 To easily maintain and control the classrooms' technology, a new Extron 7" table top touch panel was installed and programed by Tierney. 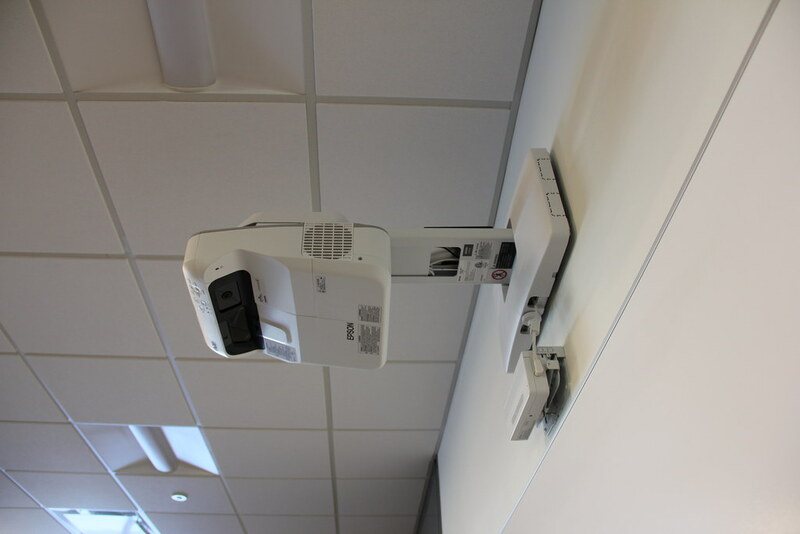 And finally adding unique charm to every classroom, a new Spectrum Link lectern to house the electronics. 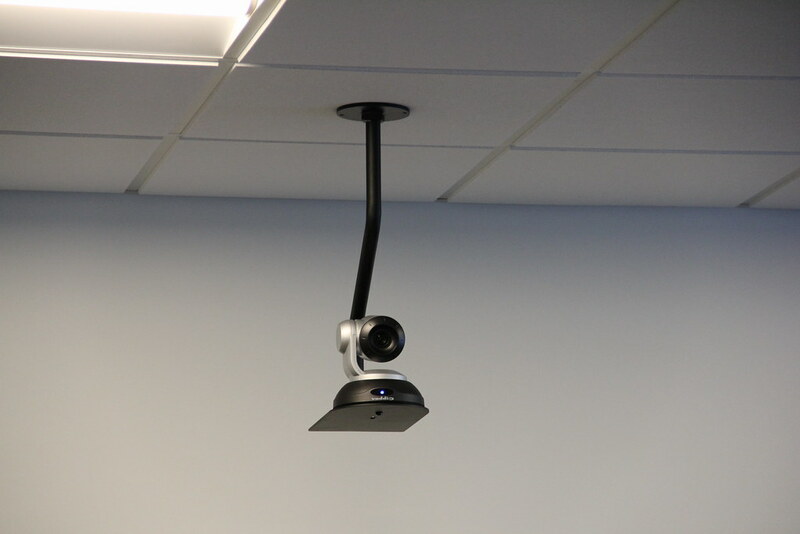 Presenters in the auditorium will have full use of the AV technology all to one dedicated PC as well as a port for a guest speaker's laptop. 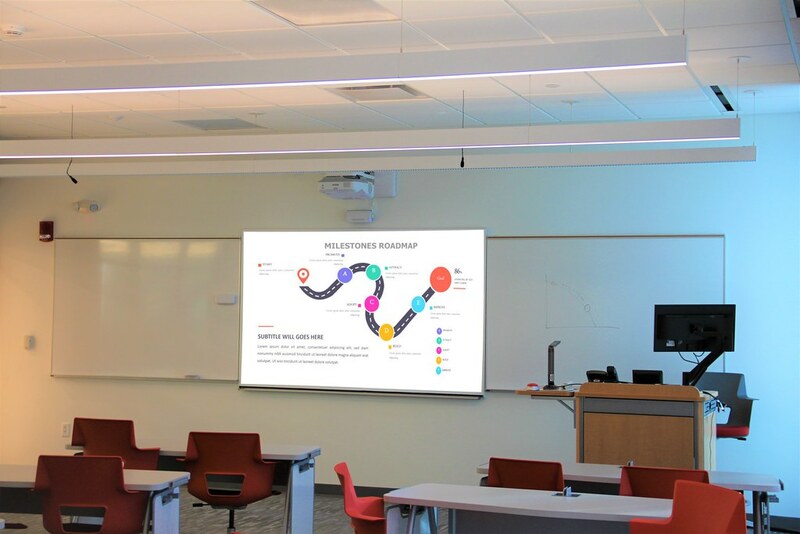 The main display will consist of the Epson BrightLink 695Wi interactive projector and Da-Lite 100" Idea Screen at the front of the room. 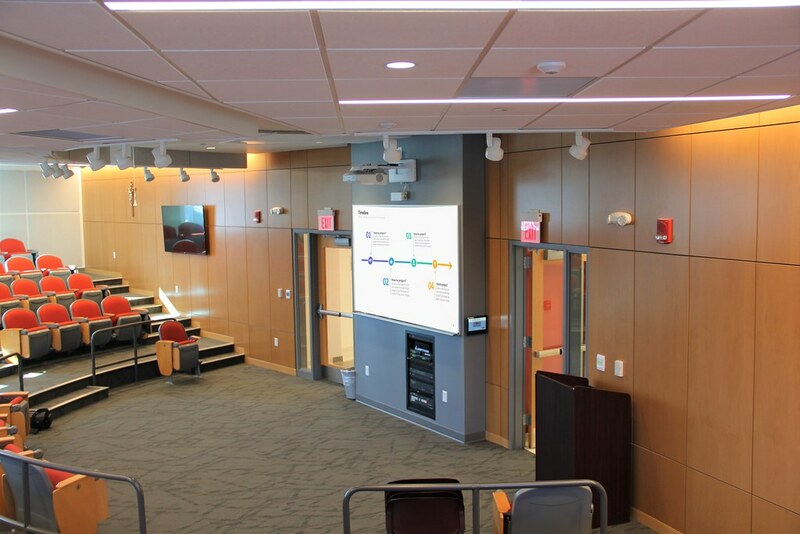 Presentations will also be displayed on two LG 65" HD LCD displays on the side walls, an LG 55" HD LCD display as a confidence monitor on the back wall, as well as in two overflow rooms via an Extron transmitter sent (both audio and video) as an input to their switcher. 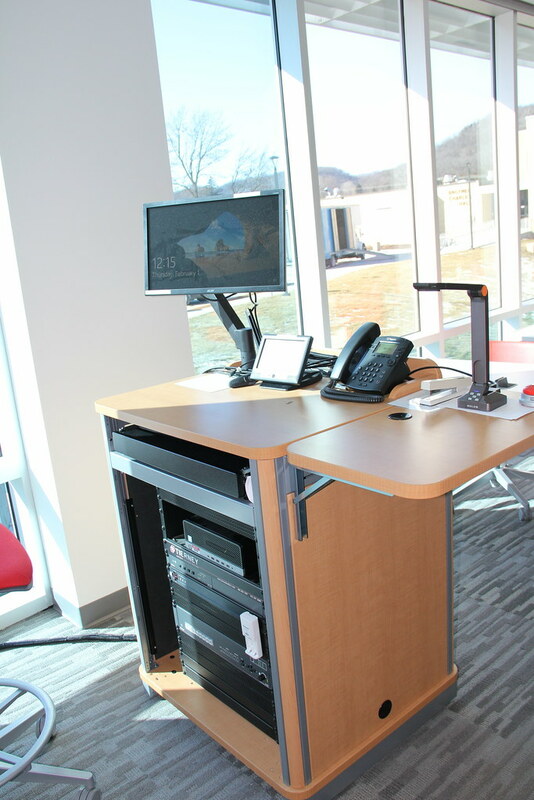 A new Extron 10" touch screen allows the presenters to control the Hovercam HCS8 document camera and Vaddio Robotshot 12 camera to be shown on any of the displays as well as audio volume. 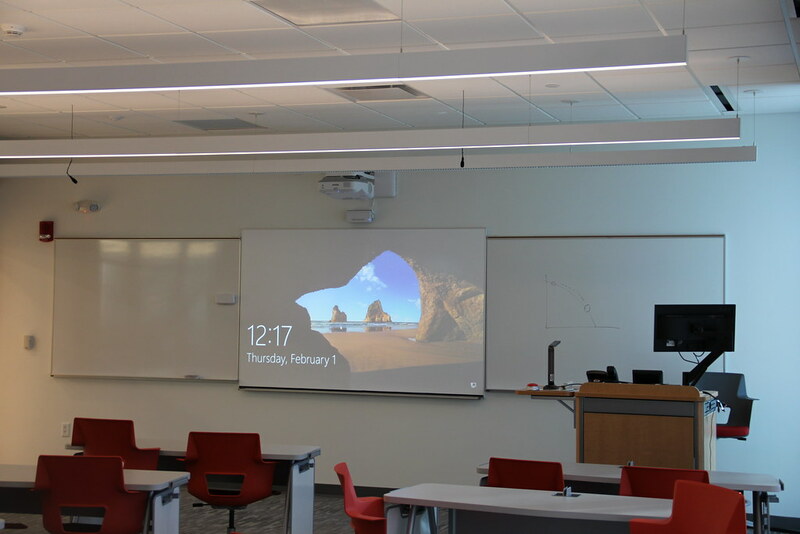 The system has been designed to allow the projector and the 65" displays to have the ability to display the same content simultaneously or present a different content at any point during the lecture. 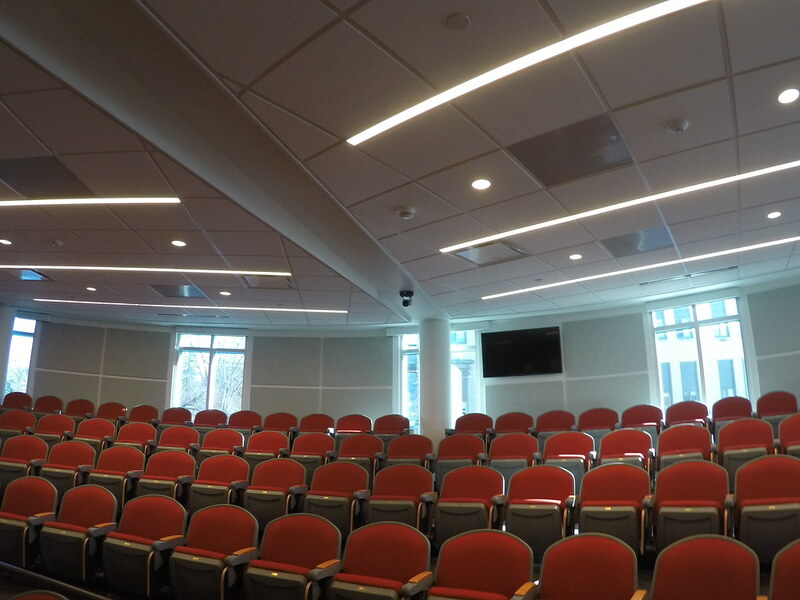 Audio in the auditoridum consists of eight drip tile lay in speakers powered by a new rack mounted amplifier, a ClearOne tri-element hanging microphone for instructor coverage and 3 Shure wireless handheld mics to be passed around the audience. 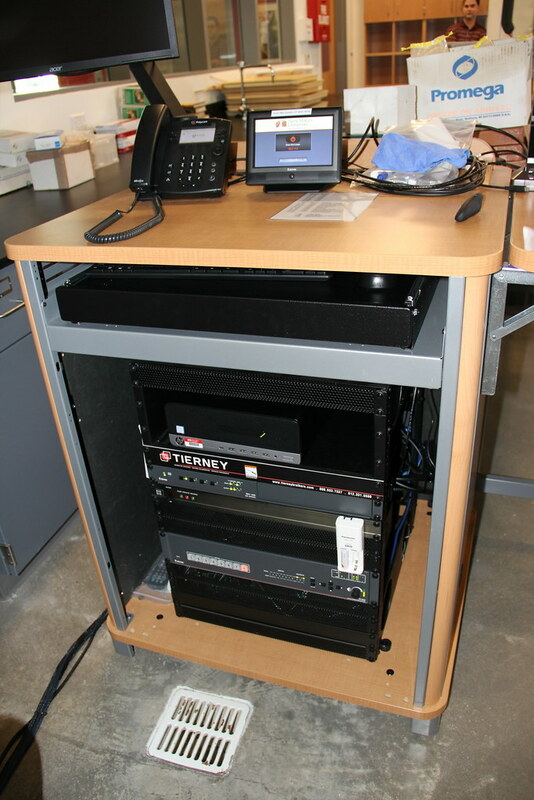 All of the microphones are connected to a new Extron audio processor.